General Hospital (GH) spoilers tease that Sam (Kelly Monaco) could do some waffling over the next couple months. She claims she loves Drew (Billy Miller), but she couldn’t resist a kiss with Jason (Steve Burton) on New Year’s Eve. Sam might blame it on nostalgia and tequila, but the betrayal will still sting when Drew ultimately finds out. General Hospital spoilers say that Sam and Jason will have another encounter at some point. They might even head to the bedroom down the road. It’s clear that Jason’s pull is quite strong for Sam. She’s firmly against the life Jason can offer, but she’s still drawn to him. No one can blame Sam for being torn. Her conflicting feelings are understandable under the circumstances. However, some GH fans might argue that Sam should be able to resist her desires. If she’s going to keep repeating how committed she is to Drew, Sam actually needs to show it. If Sam had taken a step back from both twins, that would’ve been fine as well. Sam deserves the chance to examine how she feels and choose the path that will bring her the most happiness. Nevertheless, Sam isn’t really doing that. She’s claiming she’s completely devoted to Drew, but her actions tell a different story. 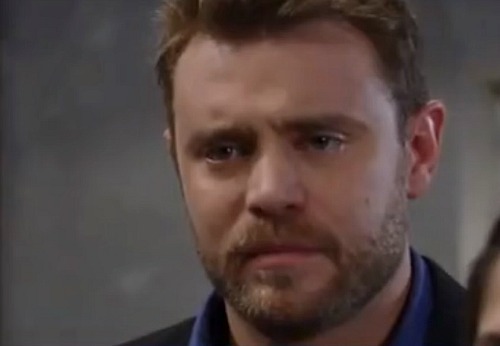 It’s not fair for Sam to mislead Drew and set him up for more heartache. In light of all this, we have to wonder if Sam’s worth fighting for. Drew puts Sam on a pedestal and always tries to cater to her needs. He’s been struggling with identity issues, but he’s doing his best to focus on Sam. Drew even offered to delay their engagement, but Sam insisted they should move full-speed ahead. Again, that’s not fair when she’s busy making out with Jason! Of course, Drew is crazy about Sam and he’ll keep up the fight as long as he can. That’s just the kind of guy he is and many General Hospital viewers love that. Does Sam deserve Drew’s adoration? Would he better off with someone else or can you give Sam a pass for her forbidden kiss? General Hospital spoilers say this love triangle will bring even more excitement, so stay tuned. We’ll give you updates as other GH news comes in. Stick with the ABC soap and don’t forget to check CDL often for the latest General Hospital spoilers, updates and news. Is Sam Worthy of Drew’s Honesty and Devotion?